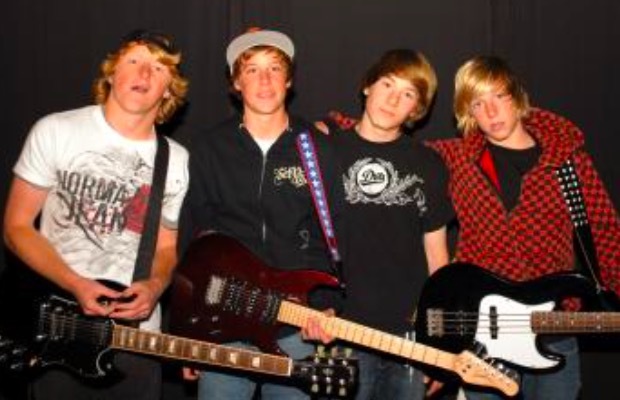 Did you know Parker Cannon’s high school band were featured in EA’s Skate? Before Parker Cannon was leading a pop-punk revolution as frontman of the Story So Far, he was the head of another band called Blind Impression. Throughout his high school years, Cannon played guitar and sang in the group, who were traversing down a slightly different musical path than that of the Story So Far's. PropertyOfZack recently pointed out that the band were featured in EA's Skate. Players can find the band's name plastered in graffiti throughout the game, and even some of the gameplay sounds were recorded by him and his friends while they were out skating. Some research will quickly unveil a video Parker did with Run For Cover Records a little over two years ago, which goes somewhat more in depth on the matter. He claims it was Blind Impression's bass player and drummer's dad who hooked up the game's feature. A little more research on Blind Impression will uncover not only a handful of live videos, but what looks to be their Myspace as well. They also received a brief blurb from San Jose Mercury News on May 15, 2007, which listed their members.